Hi guys, I know this post is massively out of season as we’re neither close to July nor to Christmas! But before you know it, you’ll start seeing Christmas decorations, cards and presents covering every corner of the high street! 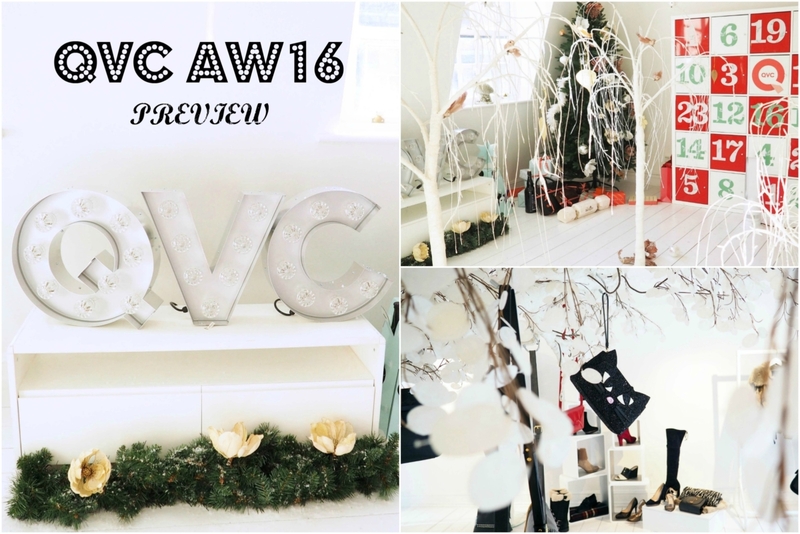 I recently (well, if one month falls under “recent”) had a preview of the QVC AW16 collection in London, which had a lot of amazing products and brands that will you will see at QVC this autumn and winter! 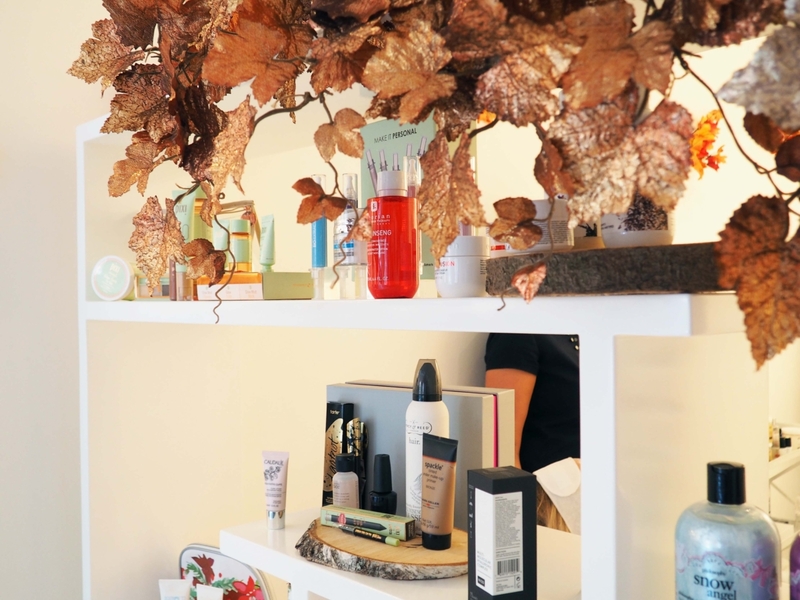 Not to mention, there was a whole floor dedicated to beauty which included a whole range of products and brands that are exclusive to QVC. 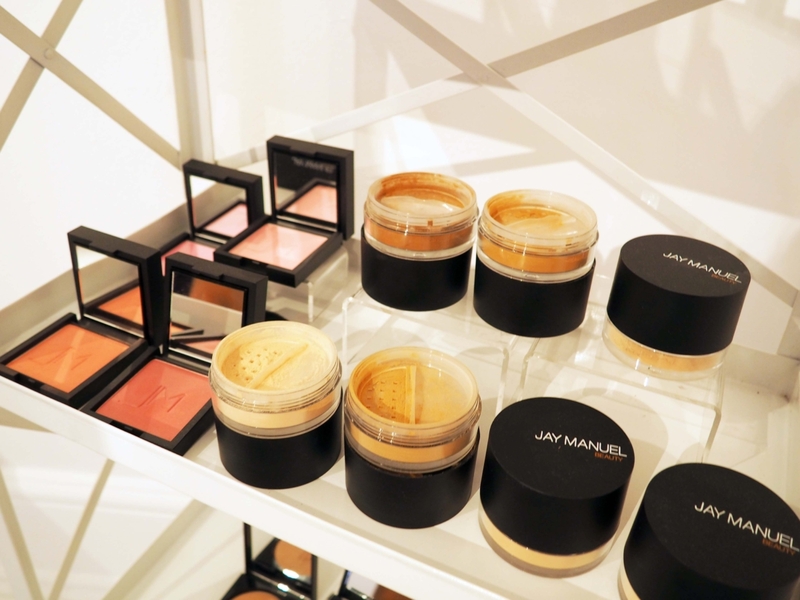 Jay Manuel Beauty, created by Jay Manuel himself will be launching at QVC this week (1st September), making the product range more accessible to UK customers. 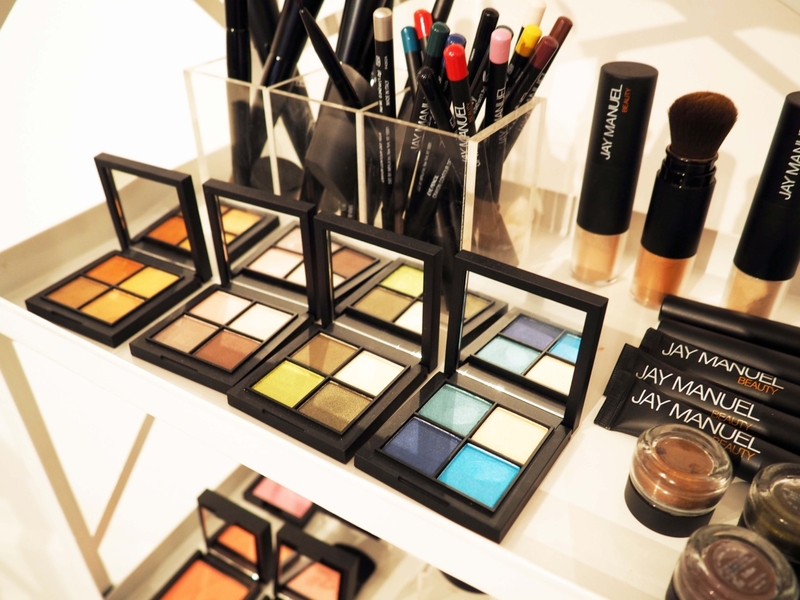 The initial collection consists of a couple of basic makeup products like the Jay Manuel brushes, bronzer and mascara. But I’m mostly looking forward to when the Powder to Cream Foundation hits QVC! As the name suggests, this foundation comes in a powder form, but turns into a cream upon contact with the skin. I think this product is revolutionary and perfect for the jet setters! For once, the “cream foundation” doesn’t have to go in the liquid bag you take on board the flight! Other than some really cute present ideas, QVC will also be introducing a new Tili Beauty Box this season! Tili Beauty Box First Edition (left) is already available to buy at QVC and it only costs £20 for 9 products! 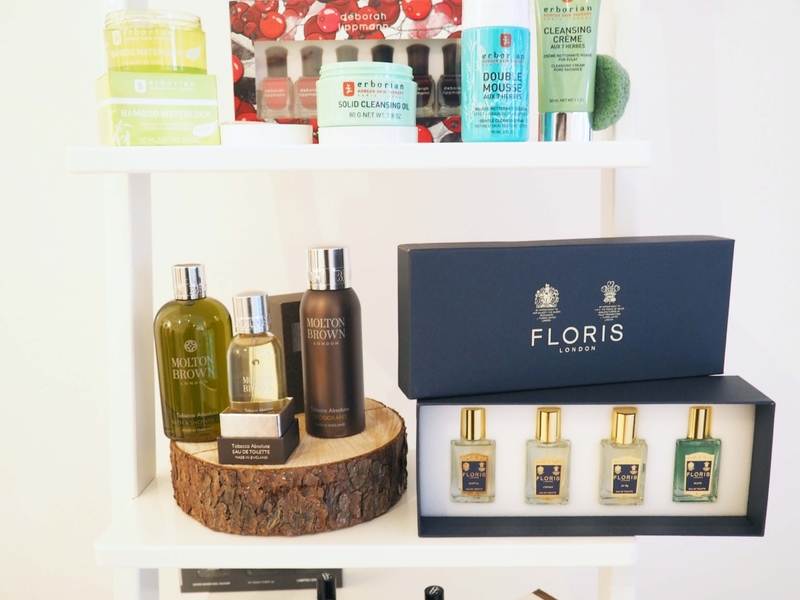 Nevertheless, the new Beauty Box (Second Edition, I assume) on the right looks even more exciting as it includes products from Percy & Reed, Tarte, Caudalie and Pixi! I’d definitely be over the moon if I got this box for Christmas! 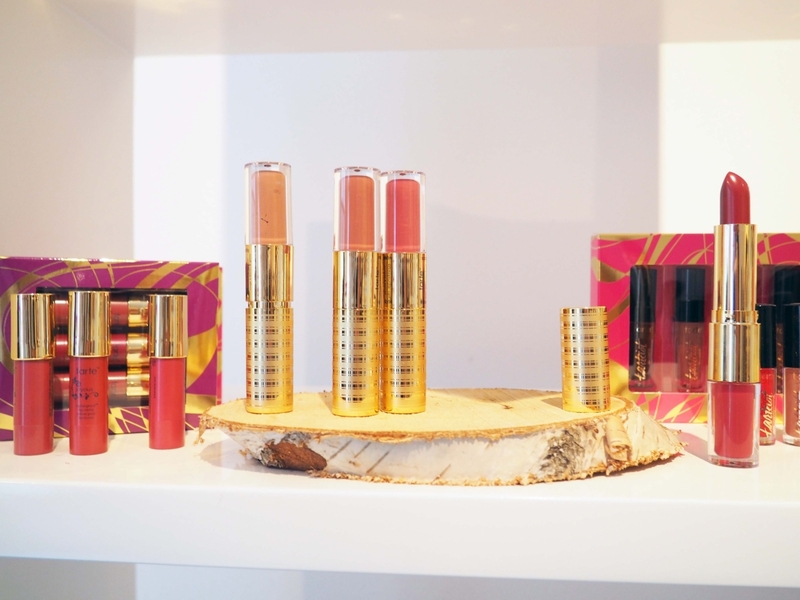 Tarte Cosmetics which is exclusive to QVC in the UK is a brand I’ve been dying to try. 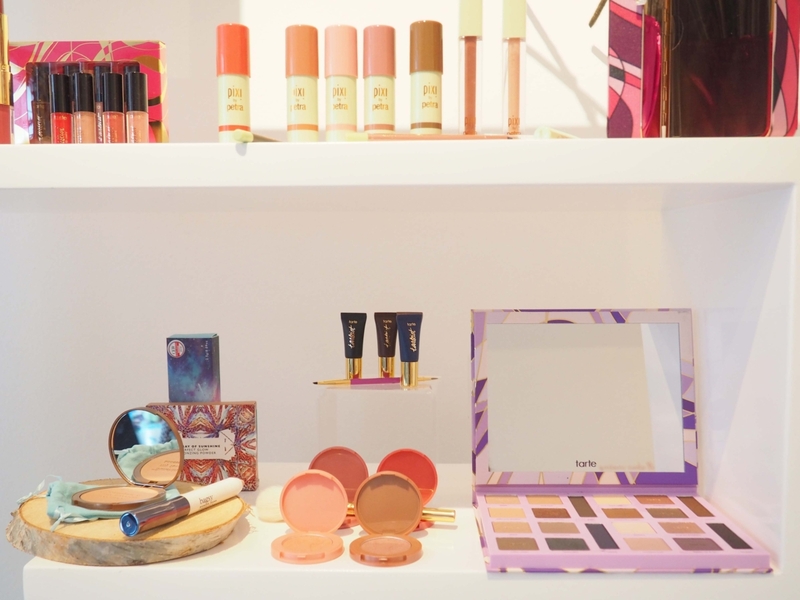 After seeing the products at this press event, I want to try Tarte Cosmetics even more! How gorgeous does that eyeshadow palette look? 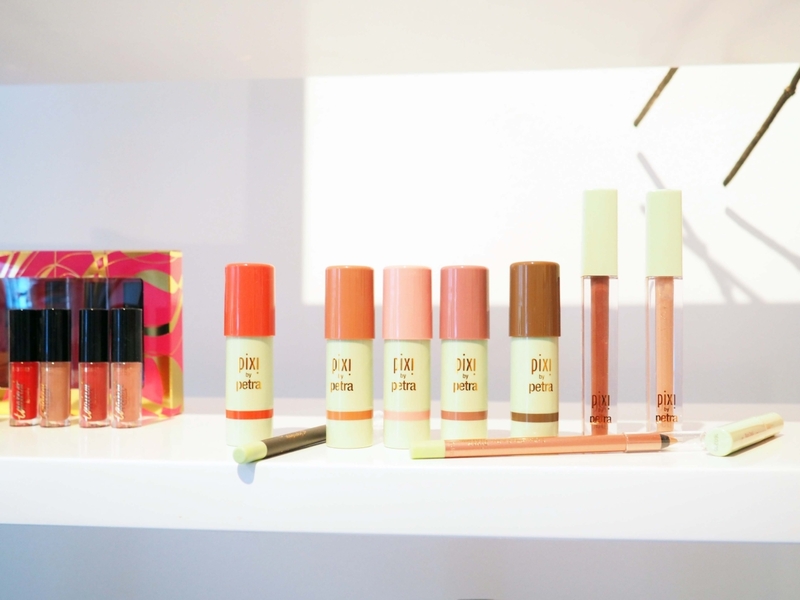 Nevertheless, there were also a couple of other brands at the show that caught my attention, including Pixi Cosmetics, Deborah Lippmann, Laura Geller and Philosophy! 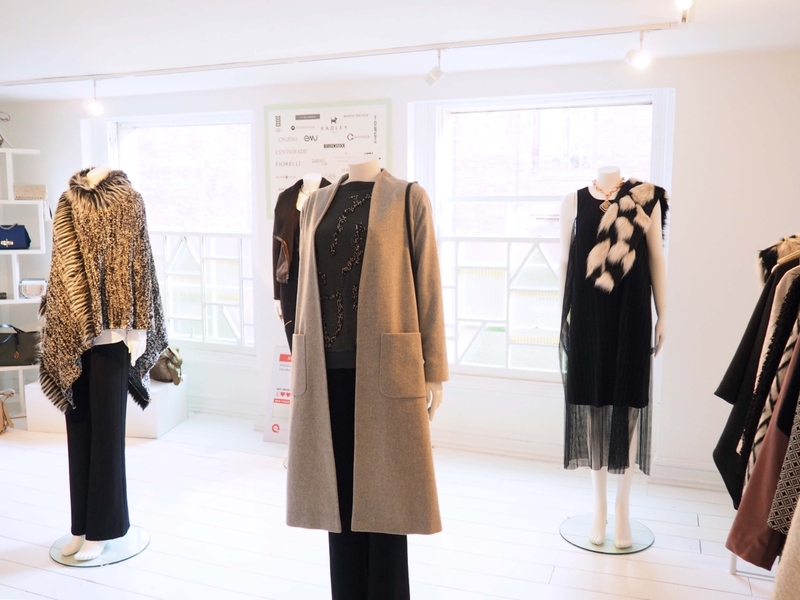 The fashion section definitely got me excited about the autumn tones, knee high boots, ponchos and woolly coats! 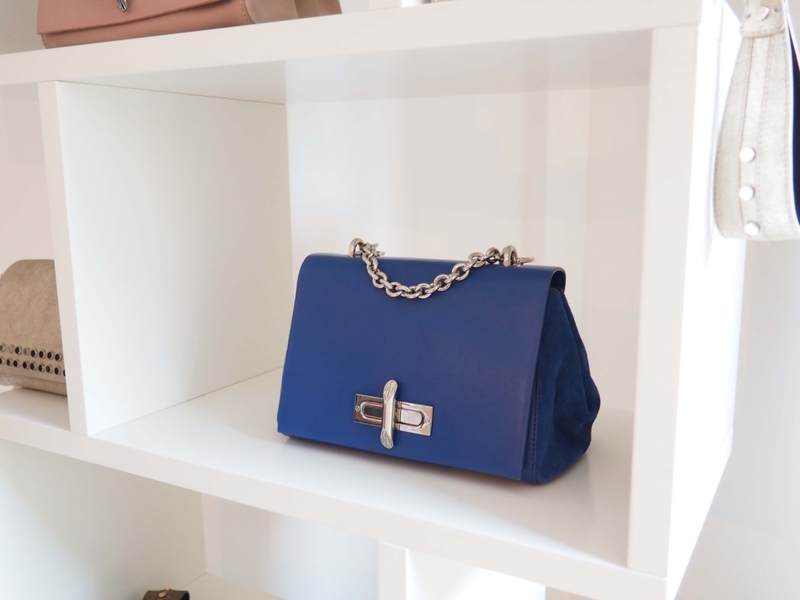 However, the one thing that stole my heart was the Lulu Guinness Cat Clutch! It was peeking at me from under the white leaves, looking very cute and composed! I’m not sure how often I’d use it if I did get this cat clutch for Christmas, but all I can think of now is how adorable and artistic it looks! 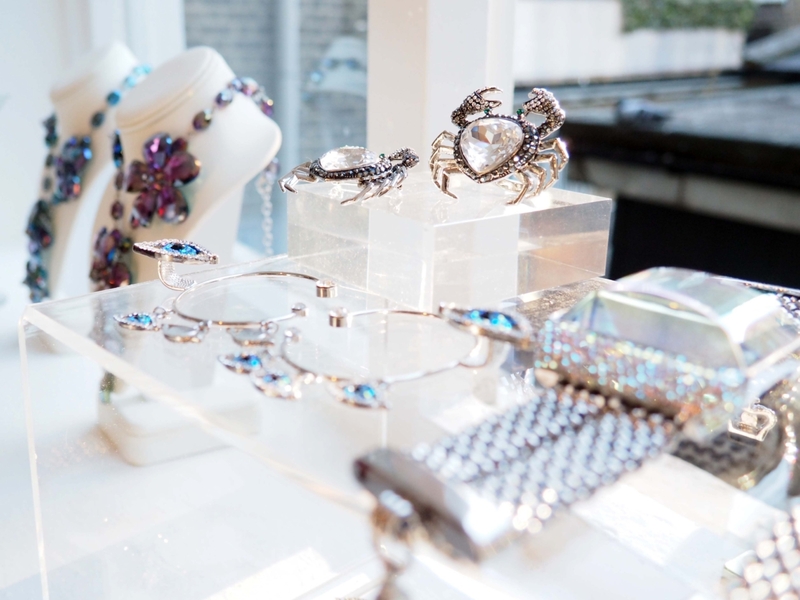 QVC is also big on their jewellery, and this year it’s all about big extravagant statement items. 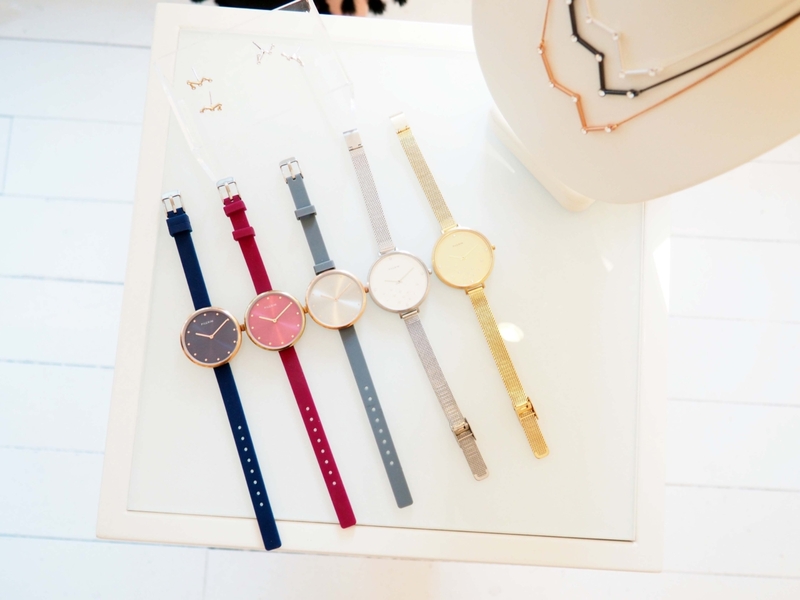 Nevertheless, if you’re looking for something more elegant, the stunning watches from Pilgrim is also a big hit, especially as a Christmas gift! 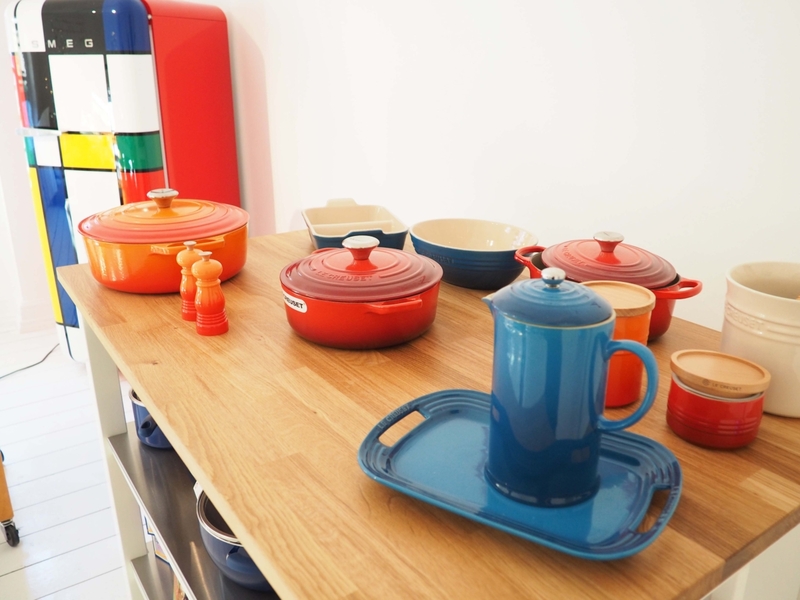 I’ve always been intrigued by products from Le Creuset and SMEG. They are among the few brands that manage to create the perfect combination between colourful design and excellent quality! 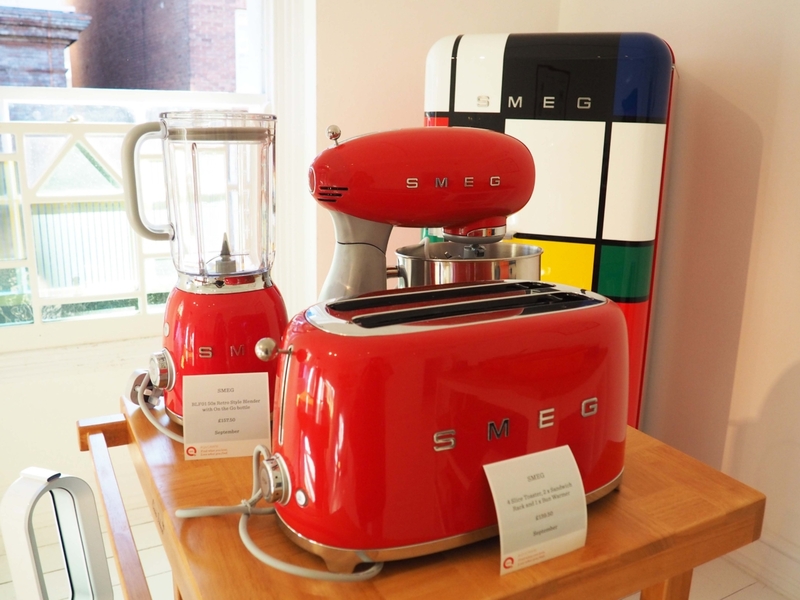 That fridge from SMEG in the background is the most stunning fridge I’ve ever seen! Not that anyone ever use the word “stunning” to describe a fridge! Other than thinking that a colourful fridge looked cool, I also loved the Christmas decorations! 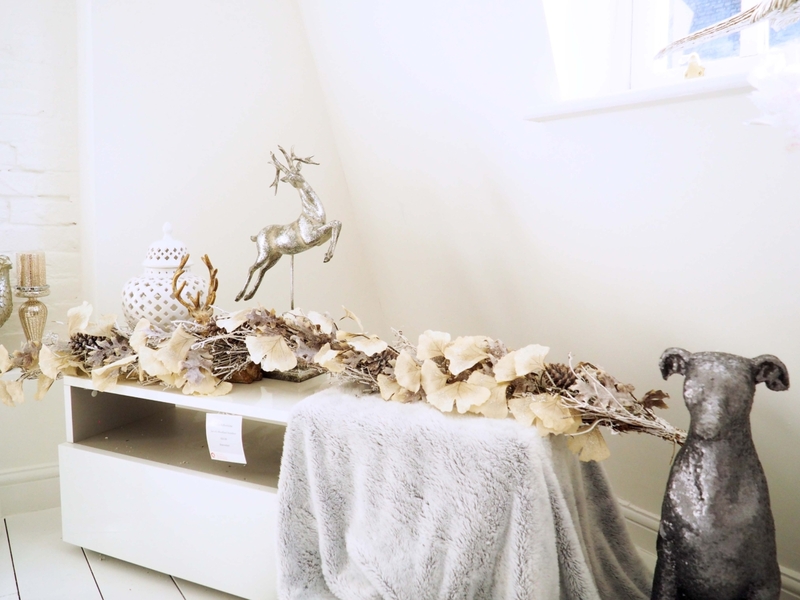 How cute is the silver deer and the cute little birds on the trees? I hope you enjoyed this post and have found some gift ideas and inspirations for this Christmas! I certainly have!